This is true since its inception and will still be true in the years to come. The last few centuries saw economies rise and fall, mostly due to war. But, even in the most difficult times, it was obvious that countries need to control the value of their money. And so, central banking appeared. First in Sweden (Riksbank is the oldest central bank in the world) and then the concept quickly spread around the world. The idea behind a central bank’s creation is to use economic concepts to control the money in an economy. Both quantity and quality matter. Ever since countries realized the power of exporting goods and the benefits of importing, economic concepts changed the world. Central banking came naturally as the value of money can be controlled. I won’t go into more historical details, even though history tells us much about how central banking today works. The aim of this article is to present the role of today’s central banking. As a price action trader, I love charts. But it would be foolish if we don’t try to understand the drivers in the Forex market. Who sets the rules, why and how we can use the information in our favour? A very important answer comes from the central banking system. The financial system as we know it today gravitates around the world’s reserve currency. Prior to the dollar, the British Pound enjoyed the privileges of the world’s reserve currency status. Since the Bretton Woods Summit, the world became “dollarized”. Forex traders trade currencies. However, at a closer look, forex traders trade the state of major economies in the world. Think of them: United States, Japan, United Kingdom, Eurozone, Canada, Australia, New Zealand…and then list their respective currencies: USD, JPY, GBP, EUR, CAD, AUD, and NZD. Next, combine those currencies. Mix them up! The result represents the Forex dashboard. Or, at least, the most important currency pairs. So, when traders look at the economic calendar and wait for a currency to move, they, in fact, analyse an economy. The economic differences between the countries listed above will reflect on the strength of their currency. Who’s in charge of controlling the fluctuations and the value of a nation’s currency? 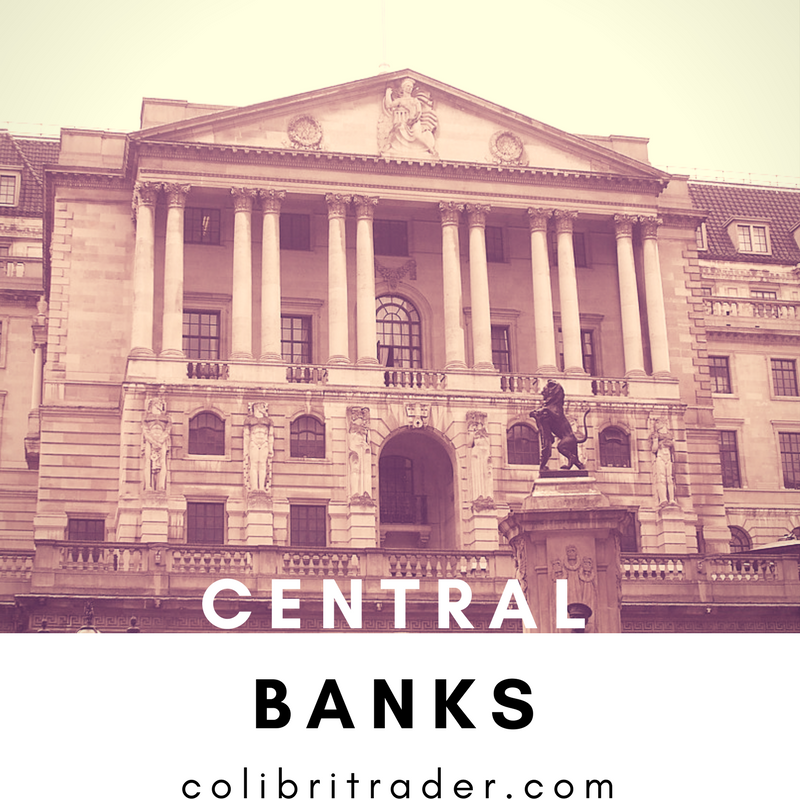 As such, the Federal Reserve of the United States, Bank of Japan, Bank of England, the European Central Bank, Bank of Canada, the Reserve Bank of Australia and the Reserve Bank of New Zealand are the most important central banks in the world. Their role is to set the monetary policy for the currency in their jurisdiction. Therefore, they control both the value of their currency and the tools to use. In Forex trading, that’s all that matters. Technical traders can only adapt to changes in the macro economic picture. Anomalies appear from time to time. But, they’re short lived. What people don’t know is that ALL central banks work under the umbrella of one entity. A global one, headquartered in Basel, Switzerland. The Bank for International Settlements (BIS). Known as the mother of all central banks, BIS supervises money transmission around the world. And, it makes sure the regional monetary policies are implemented accordingly. Like any central bank, BIS has a governing body. Guess who makes the list? The heads of the major central banks in the world, of course. The Fed Chairman/Chairwoman, the ECB (European Central Bank) President, and so on. With this in mind, traders must shrug off the idea of a central bank acting on its own. They coordinate their actions via regular BIS meetings. What the Fed does with the interest rate is well-known by the Fed counterparts around the world. And, sometimes, well in advance as the central bank’s members discuss the local issues at the BIS meetings. Because we live in a globalised world, the need for an entity like BIS was stringent. The United States, for example, cannot be isolated from the rest of the world, if it is to keep the dollar at the centre of the global monetary policy. When interest rates in the United States change, this sends shock-waves around the world. Both when it raises or cuts the rates. Let’s imagine the following two situations. When the Fed cuts the rates, it floods the world’s financial system with dollars. With cheap dollars. While emerging markets and other countries enjoy the move (they can borrow in dollars paying a lower interest rate), soon other major economies will follow suit. Why? The United States’ economy is the world’s biggest. When the Fed cuts rates, the economy must be gripped. That will soon be transmitted all over the world. There’s a saying: when the U.S. sneezes, the rest of the world catches a cold. How about Fed hiking rates? That’s good news, right? The U.S. economy, the world’s largest, is doing fine. Well, that may be good news in the States, but the rest of the world will have a tough time coping with higher dollar interest rates. All major international loans are denominated in dollars. Hence, the interest on those dollars gives hard times to the local governments. Only fools believe a central bank acts on its own. Even back at the early 1900’s, central banks around the world acted in a concerted manner. While it was no entity like BIS, they simply couldn’t act on their own, without other parties knowing and approving the moves beforehand. In a way, this is normal. Since transportation changed the way people move and live, the value of money entered a new era. Hence, central banking had to adapt. How to keep the value of a currency while affecting people’s lives as little as possible? Welcome to 21st-century central banking. Like it or not, regulating money brings more benefits in the long run. And, the ones who control the money, hold the power. That’s why central banks around the world strive for independence. Do they have it? Or is the power concentrated in the hands of a mighty entity like Bank for International Settlements? Very interesting article. However, I think China, and maybe India, are missing here. Even if they have not much influence in forex, they do on world economics. Just as an example, China could flood the world market with US Bons anytime, and crash their value in less than an hour, among with the value of the US Dollar, of course. So they probable are main partners of the BIS as well. What do you think? These are good comments. I might write an article about them. What else would you like to read about? It is important for me to know, so I can help you as much as I can with your learning process! Thanks for enriching our knowlege with this article colibri, a good read on weekend. Sometime I wonder whether those in power are traders themselves – they can take position before they move the market. I would love to read about basics on relation between bond market and stock market and bond yields and price explained, too. Thank you for the thumbs up! I will think what I can do about the topics mentioned. What are you trading yourself? Do you trade bonds?